This name uses Spanish naming customs: the first or paternal family name is Rodríguez and the second or maternal family name is Domínguez. He is widely considered Cuba's best folk singer and arguably one of Latin America's greatest singer-songwriters. Known for his intellectual, highly eloquent and symbolic lyrics, his songs are iconic elements of Latin American left-leaning intellectual culture. Many of his songs have become classics in Latin American music, such as "Ojalá", "Playa Girón", "Unicornio" and "La maza". Among his other well-known songs are "Fusil contra fusil" and "Canción del Elegido". He has released over 20 albums. Rodríguez, musically and politically, is a symbol of the Latin American left. His lyrics are notably introspective, while his songs combine romanticism, eroticism, existentialism, revolutionary politics and idealism. As a humanist, his songs often bespeak a secular worldview, where humanity must make the best of this world. He has been referred to as "Cuba's John Lennon." Rodríguez was born on November 29, 1946 in San Antonio de los Baños, a fertile valley in Havana Province known for its tobacco crop. He was raised in a family of poor farmers. His father, Víctor Dagoberto Rodríguez Ortega, was a farmer and amateur poet who supported socialist causes. His mother, Argelia Domínguez León, was a housewife. On many occasions Rodríguez has spoken how his love of music was developed by his mother, who would pass time singing boleros and songs from Santiago. Although Rodríguez had an uncle who played the bass, his mother had a far greater influence. Later, she also collaborated with him on a few musical works. 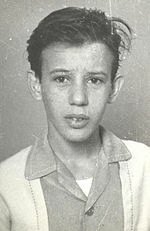 When the Revolution led by Fidel Castro triumphed in January 1959, Rodríguez was only 13 years old, and, like most Cubans of his generation, became involved in the new Revolutionary enthusiasm. He participated in the Literacy Campaign held in 1961, and then started working as a comics designer in a magazine. During this period a friend of his, Lázaro Fundora, taught him how to play the guitar. Guitar playing took a major role in his life while he was doing his military service in the army, during 1964, but it wasn't until 1967, with his first television experience, that he started to become well known and influential among Cuban revolutionary youth. With pro-revolution yet very independent lyrics (together with his very informal dress code), Rodríguez soon attracted the animosity of some members of the new Culture Ministry, which was devoted to the eradication of the United States' influence in Cuban culture. In this context, a very important role was played by the cultural institution Casa de las Américas and its then director Haydée Santamaría, the former a respected revolutionary who participated in the Moncada barracks assault of 1953 and sister of Abel Santamaría, who was tortured and killed after the failure of the assault. Haydée Santamaría became a protective mother-figure of the young composers and of several of his colleagues at the time. Casa de las Américas became the home not only for the new Cuban trovadores but also for many other Latin Americans on the left. It was in this institution that Rodríguez met Pablo Milanés, and Noel Nicola, who along with Rodríguez would become the most famous nueva trova singers and composers. In 1969, for almost five months, he worked as part of the crew on the fishing boat Playa Girón, and during this fertile episode he wrote 62 songs, among which are the famous "Ojalá" and "Playa Girón." The lyrics and music of these songs became a book named Canciones del Mar. In 1976, he decided to join Cuban troops in Angola, playing for the soldiers. After more than 40 years of artistic work, Rodríguez has now written a vast number of songs and poems (said to be between 500 and more than one thousand), many of which have never been set to music and probably never will be. Although his musical knowledge has been continuously increasing (counting among his teachers the famous Cuban composer Leo Brouwer), he is more widely praised for the poetry in his songs than for the accompanying music. His lyrics are a staple of leftist culture throughout the whole Spanish-speaking world, and he has been banned from the media during several of the dictatorial regimes that ruled Latin America in the late 1970s and early 1980s. His debut album was Días y flores, launched in 1975. Al final de este viaje and Cuando digo futuro feature songs he composed before Días y flores. He reached international popularity in the early 1980s with Rabo de nube and, in particular, Unicornio. In the early part of his career his work displayed a fair amount of revolutionary optimism. Mujeres, released in 1979, is in contrast a romantic and highly intimist album. In the middle of his career, Silvio Rodríguez experimented with sounds and rhythms departing from his trademark acoustic guitar, accompanied by the group Afrocuba (e.g. in Causas y azares). At maturity, Silvio Rodríguez thoroughly purified his sound through a return to acoustic guitar, great care and sophistication in the voice, and exclusive control of the production process from beginning to end. His lyrics became more introspective, at times even self-absorbed or self-justifying, expressing melancholic longings about the shortcomings of real-life socialism in Cuba while vindicating idealism and revolutionary hope amongst the youth. The trilogy, called Silvio, Rodríguez, and Domínguez (his first name, his father's last name, his mother's last name) displays sound artistic talent. The doubts, absent in the early part of his career, also correspond to the fall of communism worldwide and the so-called Special Period in Cuba. An unnoticed recurrent theme in the lyrics of the early part of his career is that of death, particularly although not only as associated with guerrilla warfare. In contrast to the explicitness of his early songs and political positions, there was a displacement of emphasis in his later years toward fantasy and dreams. Both, however, are about an alternative that is not present but is called for, or what Laclau would call a longing for a "missing fullness". This is true politically, romantically, and existentially. In a similar way, the unusual confessional tone of many of his songs allows for an unorthodox combination of transgression, eroticism, longing, and at times (probably accurate) self-deprecation in many of his lyrics. The entire work of Silvio Rodríguez offers an intimate and introspective window into the life cycle of the artist. If the lyrics of the early part of his career are about revolutionary enthusiasm, love encounters and disappointments, as well as sensual desire, and if the middle-aged Silvio is more self-questioning, often looking backward; his most recent albums, such as Cita con ángeles, talk in part about his life as a grandfather and has a certain focus on children, while Érase que se era is the release (with all the means that come with being an established artist) of songs written early in his youth but never previously recorded. Mariposas also featured two classics composed in his youth. Silvio Rodríguez stands out in the Spanish-speaking world for the intimacy and subtlety of his lyrics, as well as for his acoustic melodies and "chord picking." He is particularly popular amongst intellectual circles of the left in Latin America and Spain. He has also often served as Cuban cultural emissary in events of solidarity, whether in Chile (Silvio Rodríguez in Chile, 1991) or Argentina (En vivo en Argentina, recorded in 1984), both massive concerts given shortly after the fall of the right-wing dictatorships. Cuban flags are always conspicuous in the crowd during his concerts. In 2007, he received a doctorate honoris causa from Universidad Nacional Mayor de San Marcos in Peru. (Lima, Peru). Rodríguez has been a major influence on many folk artists, including the Swedish artist José González. Silvio Rodríguez has been denied a United States visa several times, and it was particularly controversial in 2009 when he was invited to celebrate the 90th birthday of Pete Seeger. However in 2010, he obtained a visa and performed at venues in Puerto Rico (May 30), New York (4 and 10 June), Oakland, (12 June), Los Angeles (17 June), Washington, D.C. (19 June) and Orlando (23 June). These were his first appearances in the United States in 30 years. ^ Adela Micha (29 November 2016). "Hoy cumple 70 años el cantautor más querido de Cuba, Silvio Rodríguez" (in Spanish). Imagen Radio. Retrieved 17 November 2017. ^ Slave Hunter: One Man's Global Quest to Free Victims of Human Trafficking, by Aaron Cohen & Christine Buckley, 2009, Simon and Schuster, ISBN 1416961178, p. 57. ^ "Honoris Causa para trovador cubano Silvio Rodríguez", San Marcos al Día, 22 de febrero de 2006. 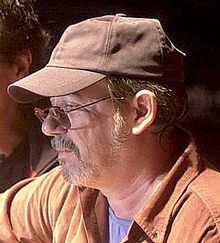 ^ "Silvio Rodriguez Plays First American Show in 30 Years", May 14, 2010. ^ Music Review: A Cuban Folk Song Pioneer, New York Times, 6 June 2010. Wikimedia Commons has media related to Silvio Rodríguez.